"Allo." "Did you say hello?" 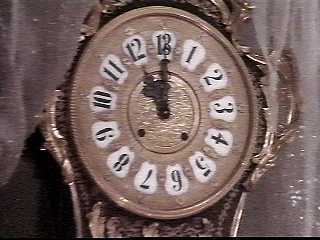 "No, I said Allo, but that's close enough." 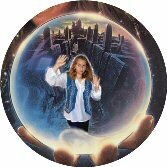 Greetings friends, and welcome to Dream Child's Labyrinth/Dark Crystal Page! If you're interested in Labyrinth, you are in the right place. If you prefer to instead visit The Dark Crystal, then go explore The Dark Crystal. Perhaps you are interested in both? Well, then by all means visit both. Now the only question is which one to visit first? Do you know the story of the Labyrinth? NO?! If you haven't seen this movie, I recommend you see it as soon as possible. In the meantime, you can see what it is about. 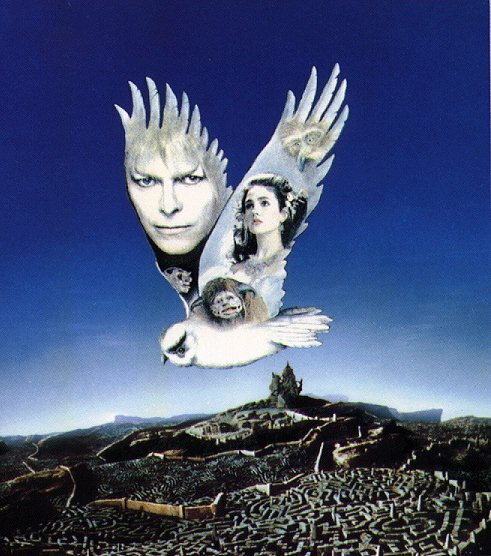 Many of us who are true and loyal Labyrinth fans have at one time or another (or perhaps still) dreamed a dream of being in the Labyrinth with its fantasy ballroom, its hidden adventures, its wonderful creatures, not to mention The Goblin King himself. A dream wasn't good enough for me, I needed more. 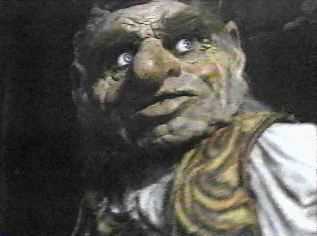 So with a little magic of my own I wished myself away to the goblin city. 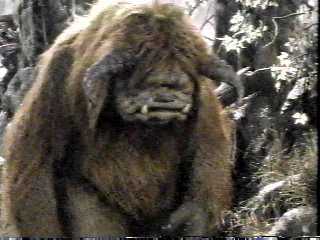 Click here to see pictures of me in Labyrinth. And I am not the only person for which I made the fantasy come true. Click here to see some "Labyrinth Listians" from the Labyrinth Discussion List who I transported to the Underground. Ok, so maybe you want to see some real pictures. Your wish is my command. Everything is not always as it seems, so you can't take anything for granted. Do you know Michael Moschen's role in Labyrinth? Well here's your chance to find out. I can't even remember when my Labyrinth obsession began. It's just always been there. I never saw it in the movie theater because I was too young at the time. (but I do vaguely remember seeing the previews for the movie on TV) My first experience was when it came out on HBO and my step father recorded it for me. I lost count a long time ago on how many times I've seen it since that first time, but I'm sure it must number near the hundreds. (no exaggeration) I finally got my real copy of the video and DVD! Since it recently came into print again, I snached up two copies. Thanks Jim Henson Comapny. 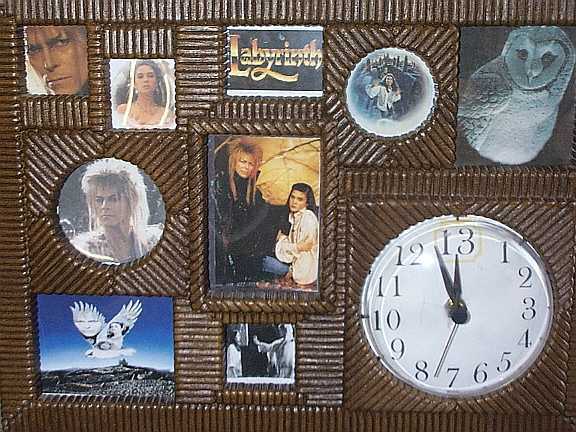 Look at the cool labyrinth clock/collage I made. It even has 13 hours. 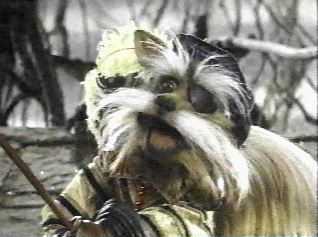 There are many interesting characters living throughout the Labyrinth: an unwilling and stubborn dwarf; faeries who bite; a worm with an English accent; little eyes that live on walls; goblins goblins everywhere; an old man with a talking hat; a kind, hairy monster; feathery, bright red fierys; talking door knockers; a courtly terrier who speaks Elizabethan English and rides a sheep dog named Ambrosius; and of course, who could forget The Goblin King. Perhaps you are wondering just who Dream Child really is. Well, I believe a dim haze of mystery adds enchantment to life, but if you must know, you must know.